Organize your collection to maximizer usable space within your gun locker, protect guns from damage, and increase accessibility. Fully adjustable pistol hooks and pouches attach to wire grills to customize interior of any safe door. Soft rubbery coating protects firearms from scuffs and scratches. 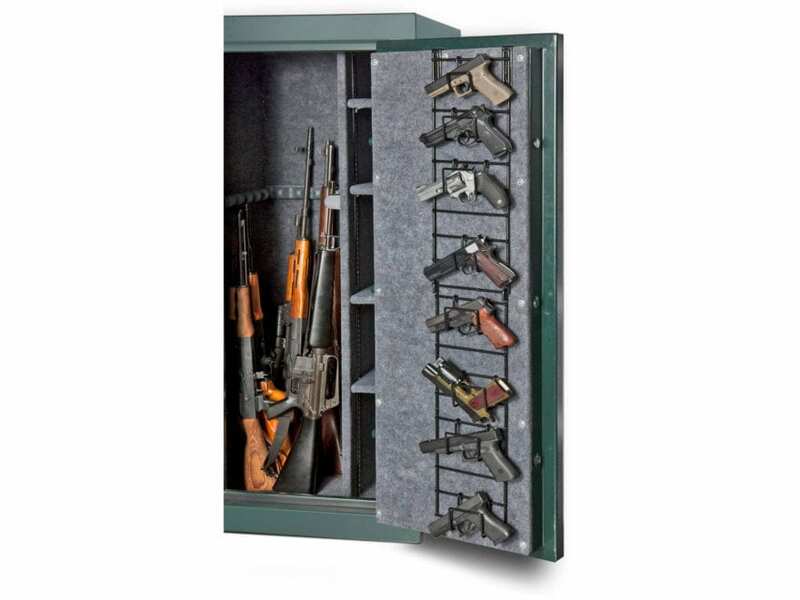 Easy install rack fastens with included screws to top ledge of gun cabinet door. Please measure gun safe door’s “inside ledge” – fits gun safe door ledge length 12″ to 16.9″. WARNING: This product can expose you to Bisphenol A (BPA), which is known to the State of California to cause birth defects or other reproductive harm. For more information go to - www.P65Warnings.ca.gov.